or Nagarathars as they call themselves, from the Chettinad region of Tamil Nadu state in South India. Chettinad cuisine is perhaps the most renowned fare in the Tamil Nadu. It uses a variety of spices and the dishes are made with fresh ground masalas. Chettiars also use a variety of sun dried meats and salted vegetables, reflecting the dry environment of the region. 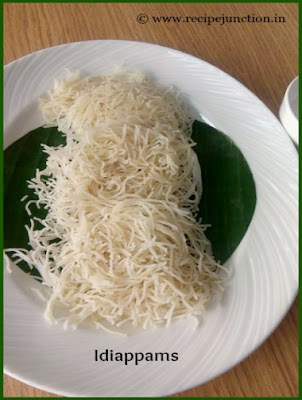 Most of the dishes are eaten with rice and rice based accompaniments such as dosais, appams, idiyappams, adais and idlis. The Chettiars have traditionally been vegetarians. Their feasts at lifestyle ritual functions remain vegetarian. But trade once had them criss-crossing the southern reaches of peninsular India and absorbing non-vegetarian influences from the Malabar Coast, where Christians of the Orthodoxy of West Asia and Muslims lived in large numbers and Hindus too tended to non-vegetarianism. Further non-vegetarian influences became entrenched in Chettiar food habits from the late 18th Century after they established businesses in Ceylon, Burma, the Dutch East Indies, French Indo-China and what is now Malaysia and Singapore. So did non-vegetarian fare from other parts of India through which they traveled en route to their overseas businesses. 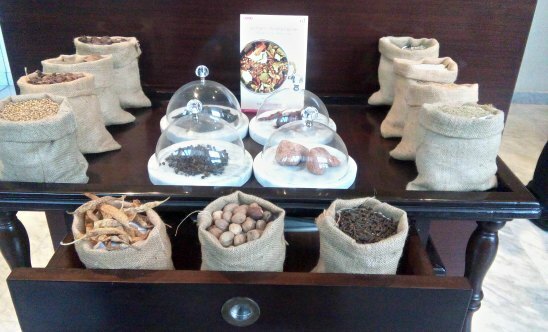 In Chettinad food, major spices used include star anise, lichen, tamarind, chillies, fennel seed, cinnamon, cloves, bay leaf, peppercorn, cumin seeds, and fenugreek. 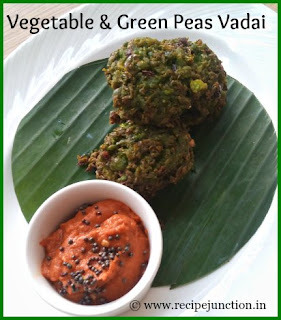 Are you curious why I'm saying you about Chettinad cuisine? Yes, because You can taste this exquisite cuisine at the Buzz, the multi-cuisine restaurant of Gateway near Ruby Hospital, on EM Bypass, Kolkata. 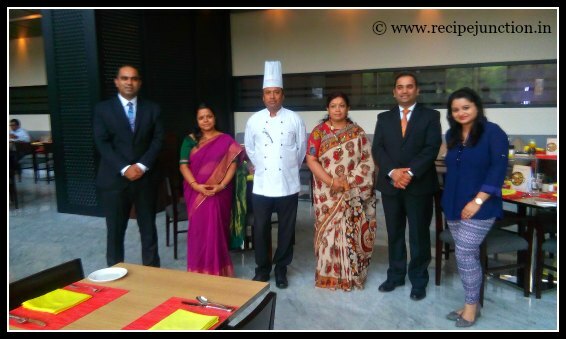 The Gateway Hotel who has a legacy of venturing off-beat yet popular cuisines of not only India but Global Cuisine, continues its quest towards the South of India, the very famous Chettinad Cuisine and Kolkata Food Bloggers got the invitation to attend the festival, me and another KFbian Sayantani Mahapatra were present there to preview the amazing spread at The Gateway. 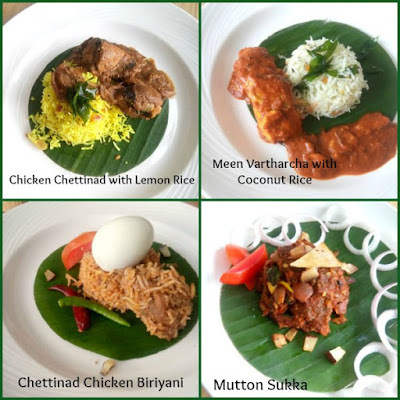 Authentic dishes from Chettinad cuisines, like, Chicken Chettinad, Mutton Sukka, Chettinad chicken/mutton/fish/vegetable biriyanis, Kotthu Paratha, Idiappams, lemon and coconut rice, Chicken 65, all sorts of bajjis and vadais, Plain Dosa and Kari Dosa, in desserts Ada Pradanam and Paal Paniyaram ----- all are there to mesmerize your taste bud, and also there is the special Kumbakonam Degree Coffee to complement all these delicacies at the end of a lavish meal. 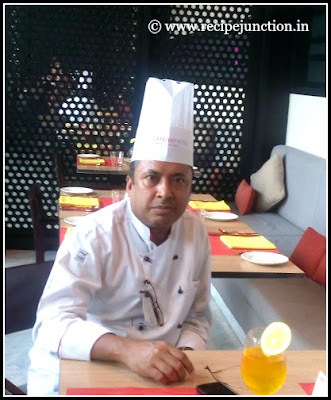 Master Chef T. Jabaraj from The Gateway Hotel Chennai who has been appreciated by several national celebrities is executing this festival with House Executive Chef Ashis Roy. 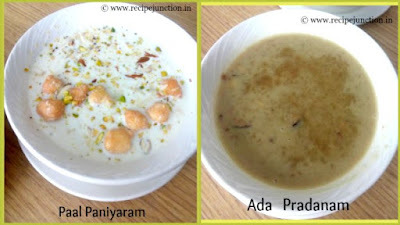 Rasatini(Chiiled Rasam with Vodka), Jigar Thanda(cold milk with badam, pisin, cream, sabja with ice-cream) and Neer Moru(buttermilk made with curd) are in the list of Beverages. Neerkai Rasam( made with gooseberries and toor dal) and Kozhi melagu Saaru(chicken soup made with South-Indian spices) are there to choose in Soup. 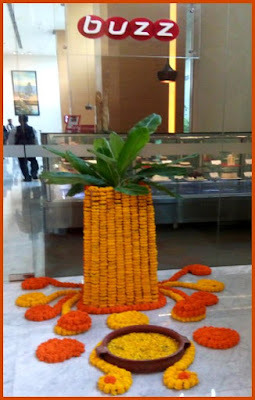 All sorts of Bajjis and vadais, Dosa, Kari Dosa, Banana flower bajji, Chicken 65, Prawn Fry, Fish Fry are there to choose from huge lists of appetizers. There are plenty of side dishes are there to combine with Lemon and Coconut rice like, in Veg, Cauliflower mushroom dry preperation with vechhu paratha, Mixed vegetable with chettinad masala, Paneer and green peas with cream coconut curry, dry roasted potato with spicy masala gravy, Vegetable stew. In Non-veg, chicken cheetinad curry, Mutton sukka, Fish made with roasted and ground coconut paste, chicken stew, deep-fried lamb meat fritters, Kotthu paratha which is a popular street food of South India with all sorts of fillings to serve. And not to forget Chettinad Biriyanis with fish, chicken, mutton and vegetable options. Famous desserts of Chettiars are there to satisfy your sweet craving at end of your meal, like Ada Pradanam, Paruppu Payasam, Paal paniyaram are there in the list of desserts. 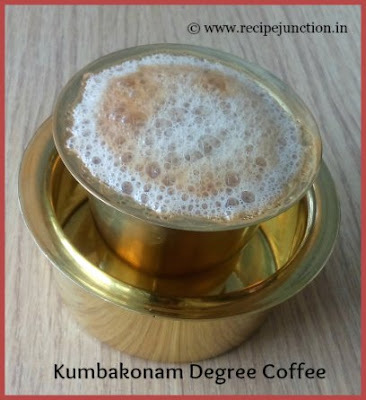 Finally, after this remarkable feast, drink this popular Kumbakonam Degree Coffee served in traditional manner in a small brass glass and you are sure to relaxed and comfortable. 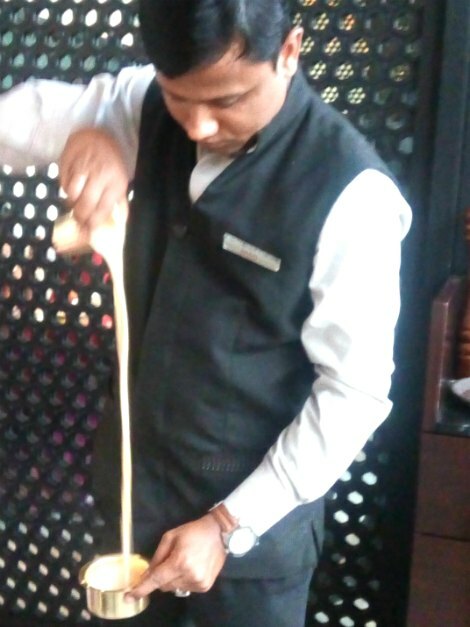 A Steward is mixing the sugar and coffee in front of the guests. The coffee was a complete stress-reliever. There are plenty of options for both Veg and Non-Veg. people. You won't be disappoint there and I'm sure those delicacies will satisfy your taste bud to the fullest. This festival will go on till 27th of November,'16 and it is on for lunch and dinner. The dishes are not a buffet but a-la-carte, priced around 1000+taxes for two person. Me with fellow KFBian and with other bloggers at the Chettinad food Festival at Buzz, the multicuisine restaurant of The Gateway.